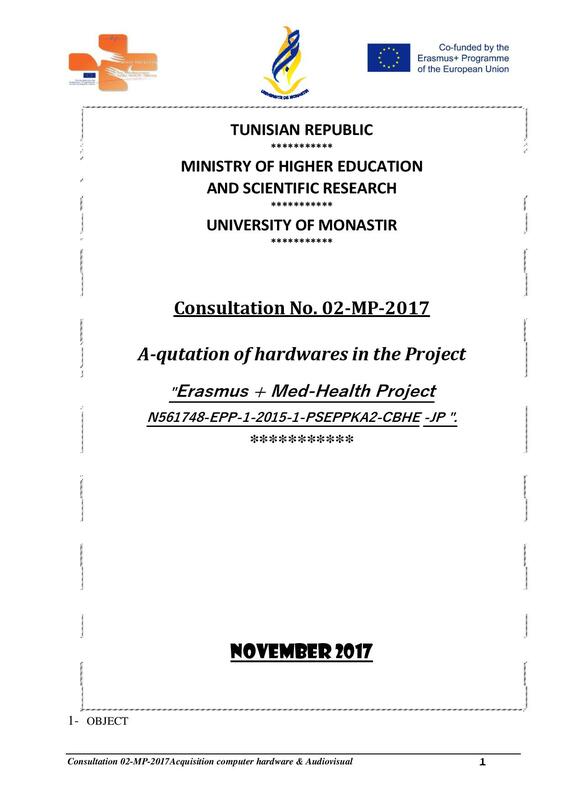 In the framework of the Erasmus project+ Med-Health The University of Monastir proposes to launch a consultation process for the acquisition of computer equipment. 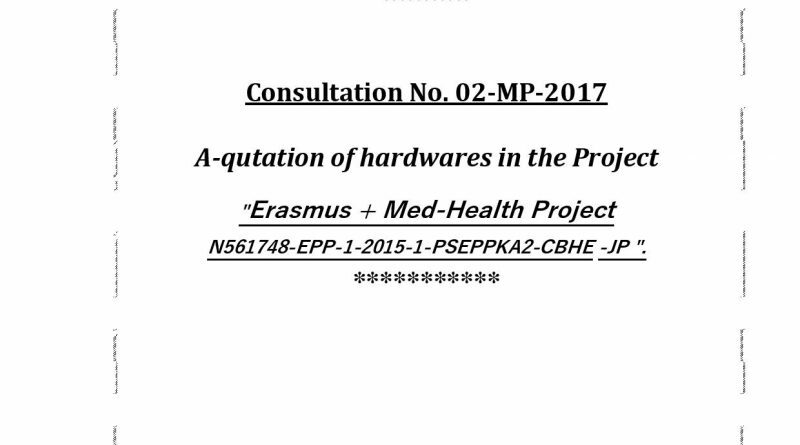 Suppliers interested in this consultation may withdraw the specifications from the web site of the University ( www.um.rnu.tn ). Avenue Taher Hadded B.P 56 Monastir 5000 Tunisia . Tenders must reach before Friday 1 December 2017 at 11h in the morning (the stamp of the Office of order of the University of Monastir authentic). ← lectures start for the Master program in the field of “Public Health Management,” in Monastir University – Tunisia from the beginning of the academic year 2017/2018 .